The holiday season officially marks the busiest time of the year for salons and stylists, alike. The boost in business can also be a great time to increase retail sales, sending your clients home with gifts for themselves and their loved ones. Encourage guests at every appointment that there is no time like the present to get a start on their holiday gifting, no department stores required! Keep reading to learn more about holiday sales strategies to implement in your salon for holiday gifting made easy! You’ll notice an uptick in your books around this time of year, so take advantage of the extra chair time you’re getting with clients. Sure, Thanksgiving just happened, but no one likes waiting until the last minute to get their shopping done. Remind clients how accomplished they will feel by getting these tasks done early! Start promoting packages, specials and winter-worthy products now. With special holiday packs and promos, use these boxes and bottles to decorate your salon. You can even dress up your products or add faux snow or tinsel to your displays! Consider adding “gift wrap” to their purchases. Simply pick up gift bags and tissue paper from your local craft store and offer to wrap all their purchases. This will help them save time, effort and energy! Selling holiday gifts to your existing clients should be easy! You know everything about them, their hair and most likely all about their families as well! 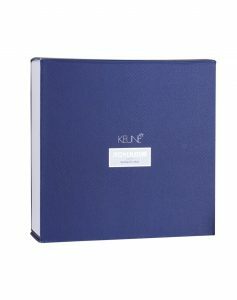 Insist they splurge on that deep conditioner they’ve been eyeing or a salon treatment like Keune Care Miracle Elixir! Product gifts shouldn’t just be for your client, either. Remind them it’s the perfect present for their loved ones as well because everyone needs shampoo and conditioner! Looking for something special this season? Check out the latest deals we have for you and contact your local distributor to get a jump on the holiday season! 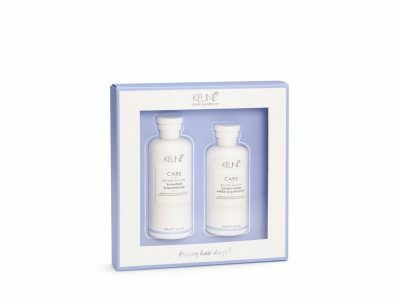 This vegan-friendly box includes So Pure Color Care Shampoo + Conditioner at 23% savings! Not sure what to get the gents in your life? This box will have them looking dapper in no time! Includes Refreshing Shampoo and Conditioner and World-Class Wax, a must have for men’s grooming! Contact your distributor for 36% savings! Take great care of locks this season by adding Vital Nutrition, Keratin Smooth or Silver Savior to any regimen with 20% savings off of these Shampoo and Conditioner Duos! Be sure to contact your distributor to learn more about these holiday deals! Color Tips From Bassett’s “You Belong” Event!